Although Wat Tyler covers only a relatively modest 125 acres, it includes a huge diversity of animal habitats and rare and important species, making it a Site of Special Scientific Interest (SSSI) and one of the most important wildlife sites in Essex. Just take a walk down the side of the creek, or through the wooded areas of the park and you'll see for yourself. Take the kids birdspotting or join one of our pond dipping trips and get back in touch with nature. Rare species include green winged orchids, redshanks, emerald damselflys, shrill carder bees and roesels bush crickets. We boast the largest Reedbed in South Essex, home to reed warblers, sedge warblers, bearded reedlings, water rails and cuckoos. Our guests include five red data book species, along with some of Essex's best wildlife brains at the RSPB visitor centre and the Essex Field Club. Many of the communities and species at Wat Tyler Country Park are recognised as nationally and regionally significant in the National and Essex Biodiversity Action Plans. Wat Tyler Country Park is central to the wider marshes that border the Thames stretching from Thurrock in the west to Castle Point and parts of Southend in the east. This extensive area forms a major ecological unit of international importance. Work that RSPB, Essex Wildlife Trust and the local authorities are doing will ensure that the incredible biodiversity of the marshes is conserved and enhanced, and will also enable people to access this rich and historic landscape for quiet recreation. Wat Tyler Country Park is crucial to the wider plan, forming a central hub for this visitor focus. This has been recognised by the Government's Department for Communities and Local Government (CLG), in their construction of a 'Parklands' concept that will put green spaces and the connections to them at the heart of the Thames Gateway strategic development. 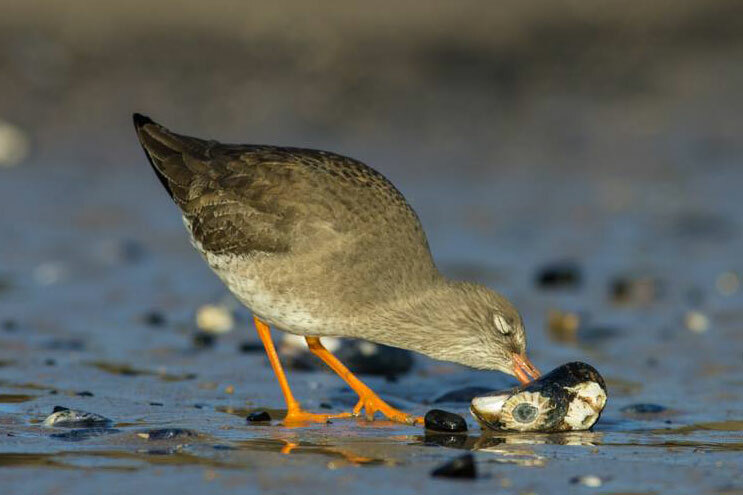 Our bird hides look out onto the wide waters of Pitseahall Fleet to the East and across the muddy, tidal Timberman's Creek to the West, ideal for experienced birdwatchers and beginners to observe many different species in very different natural habitats. Our learning team run regular guided pond dipping adventures for children, where they can safely explore Wat Tyler's fascinating pond life. The park is a very important part of the South East ecosystem, and the wildlife experts of the RSPB and the Essex Field Club make Wat Tyler their home.